In contemporary use, the words shaman and shamanism connect to a diverse and global body of practices that invoke relationship with other-than-human forces for the sake of healing, obtaining knowledge, and bringing protection, well being, and abundance to the people. Shamans enter into expanded states of awareness in order to connect and commune with unseen forces, and many traditions have used dancing, chanting and drumming, ceremony, and plant medicines to enter that altered state. Shamanic healing comprises a vast array of techniques, rituals, and practices that are applied in order to bring clients healing on all levels: physical, mental, emotional, spiritual, and en ergetic. In traditional societies all over the world, shamans are both healers and priests. 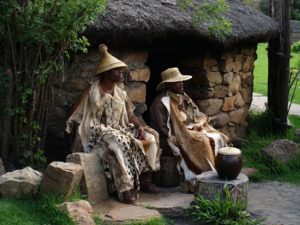 They lead their communities in honoring cultural traditions, including ceremonies and rituals for birth, marriage and death; honoring the cycles of light and darkness, the moon, the seasons; initiations into adulthood and elderhood; training young initiates in carrying forth the healing/priesthood traditions; honoring elemental spirits, honored deities, ancestors, and other respected beings; and offering practices that bring balance and harmony between humans and the rest of the living world. Shamans also work with many tools for healing the people. They are often masters of plant medicine healing, ritual healing, and healing brought through direct contact with benevolent spirit forces. Traditionally speaking, shamans enter into a trance state in order to facilitate healing on behalf of clients, restoring them to a state of balance and well being. In my own healing practice over the past 15 years, I have received a consistent message that this approach, while it can be effective, is ultimately disempowering to the client, and the new state of balance may or may not become anchored in a lasting way. My guides have told me that in this new time that we are entering into, it is far more important to guide clients in a process of healing themselves. And so, my own shamanic healing work is centered around guiding clients in processes that do just that. It is through deep personal revelation, expanded understanding and awareness, amplified sensitivity, and conscious committment, that we all heal ourselves. I firmly believe ~ and have seen in my work ~ that given solid and loving support and guidance in processes of shamanic healing, it is possible to lead clients into healing and transforming themselves. When clients are prepared to follow the insights and guidance that arise, and commit to practices and lifestyle changes that are called for in the work, it is possible for them to experience healing on every level. It is a big part of my mission to support my clients in this process, holding space for them as the process unfolds over time, and guiding them in taking steps along the way. Some people are more ready than others to take on their own healing and transformation. We in the contemporary western world have been conditioned to believe that healing comes from outside ourselves. We go to doctors and ask them to heal us with their medicines and techniques, and put all the power in their hands. Though it is beginning to change, many people still believe that the doctor is the one who heals them ~ and for those who aren’t willing or able to follow through on the doctor’s suggestions for supporting the process, when healing doesn’t come, they feel powerless and surrender to unwellness, feeling hopeless. In approaching shamanic healing, and all disciplines of holistic healing, it is essential to understand that healing is not synonymous with curing, and the journey of healing is a collaboration between the client and the practitioner every step of the way. 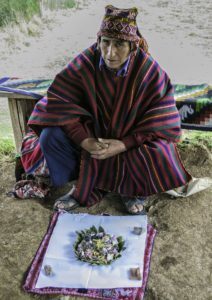 Even if a client goes to a shaman and receives a healing, that client must also be willing to continue engaging in the healing process as directed, and if that doesn’t happen, nothing changes. Intention and active engagement are key in the journey to healing. I support clients in coming to know themselves in deeper ways through the healing process, and call them into partnership with their own guides, soul level gifts, and inner knowing as we face core wounds, personal fragmentation, limiting stories and beliefs, unexpressed emotions, and confusion ~ all aspects of shadow ~ that must be brought to light in order for healing to happen. The process often includes personal practices and rituals to support the healing work we share in sessions ~ homework, essentially ~ which is an essential part of the healing journey, allowing clients to create new patterns and habits, lean into forces beyond themselves for support, and engage consciously with the process of change. I hesitate to use the word shamanism here at all, as it is a contemporary word that has come somewhat unhinged from its origins. In use among spiritual communities in North America, it often refers to all practices that connect to Native traditions around the world, including animism, indigenous traditions, Earth-based spirituality, and folk traditions of natural and spiritual healing. I choose to use it in spite of my hesitations, though, because it often gathers people around rituals and ceremonies, healing practices, and traditions that people in the contemporary western world that many people in modern society are longing to experience. And so, with a humble bow to my own ancestors and the ancestors of all the wisdom traditions that now fall under the label shamanism, I offer deep gratitude. A better word that I’d love to see enter into the conversation more often is animism ~ a worldview that embraces the idea that everything is alive, a universe of living energy. The techniques that we refer to when we speak of shamanic healing come from animistic cultures, pre-agricultural societies that understood the interdependence between human beings, the rest of the natural world, and the unseen. Shamanic techniques were used by priests and healers to intercede on the behalf of clients, calling upon the forces of nature and spirit to help those who were suffering and unwell, as well as the community as a whole. Even though many dominant world cultures have moved into industrial and technological societies, animistic and shamanic practices are still embraced where traditional cultures continue. Shamanic practices have also experienced a resurgence of interest in modern cultures around the world, now referred to as neoshamanism, which embraces elements of traditional shamanic practices along with new methods and techniques not attributed to any particular cultural tradition. If you’re curious to learn more about the traditional practices and historical context of the word shaman ~ a word that originates in indigenous traditions from North Asia ~ you will find a lot of information HERE. 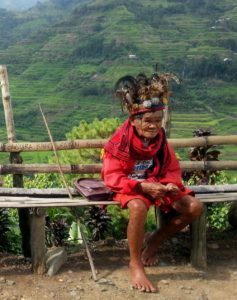 While the word “shaman” hails from North Asia, similar practices have been found in indigenous folk traditions on every continent, and the previous link also provides information and resources on that.